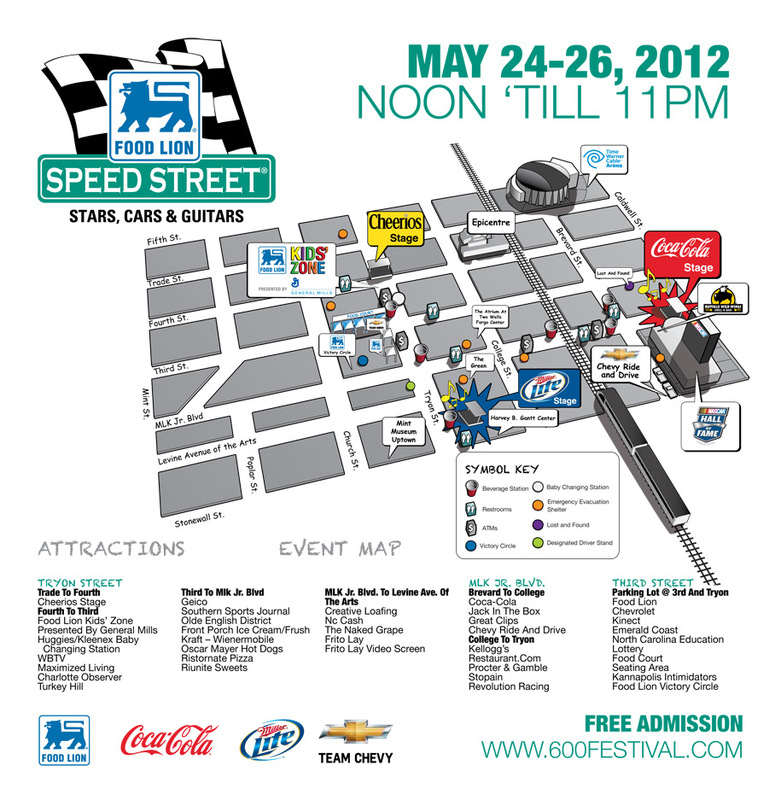 “SPEED STREET” – that Wild & Crazy Race Week Has Begun! | South Charlotte Newcomers! Yes, people, in the south, NASCAR is King (and the official sport of the state of North Carolina!). If you’re new in town, it’s high time you increase your NASCAR know-how. And this week, our own Charlotte, North Carolina is in the NASCAR spotlight – yes, it’s RACE WEEK! The week kicked off with last night’s Sprint All Star race at Charlotte Motor Speedway in Concord (just to the northeast of Charlotte for you super newbies!). This relatively light-hearted competition just netted Hendrick Motorsports’ driver Jimmie Johnson (in the #48 Lowes car – a fact you will soon commit to memory if you’re going to be a FAN!) a cool $1million paycheck (see http://www.thatsracin.com/#navlink=navdrop for all the details). And the big race is yet to come, the Coca-Cola 600, being run this Sunday, May 27th, again at CMS. It’s the biggest NASCAR event in the Charlotte of the year – and the longest race (600 miles, thus the name!). With attendance of around 100,000 people, it’s relatively easy to still secure tickets – just go to http://www.charlottemotorspeedway.com for all the great info! And more popular than many spring flings & festivals, this weekend’s (free!!) Speed Street Festival in downtown Charlotte sponsored by Food Lion really does have something for everybody – great food, live music with some of your (and/or your kids’!) favorite country and pop bands, appearances by NASCAR drivers and more! For all the event information, including event scheduling, suggested parking and transportation info (remember the Lynx! ), and general faq’s, see http://www.600festival.com. It’s a good time, and you’ll really feel a part of the southern scene! Also, the NASCAR Hall of Fame Museum (www.nascarhall.com) will be wide open for business as well – make it a part of your entire NASCAR experience! So join the fans, enjoy the rush of NASCAR racing, and Start Your Engines!! !